Well, it’s been quite a week! I’m not sure where it disappeared to, but I’m rugged up on the couch and it’s Sunday night here in Hobart. At the moment, Tasmania is in the path of a series of westerly fronts, bringing much needed rain but some very damaging winds. There was some respite yesterday so I took the opportunity to spend some time in the garden, rearranging mulch, repairing torn bird netting and salvaging what I could of the broccoli crop. Earlier this week I processed the rest of the chestnut crop, which was pretty poor this year due to very little rain in summer and no water to spare for the trees. But I find them so delicious and useful that every little piece has become precious to me and my family. I’d never really paid much attention to chestnuts until I moved here, with a mature tree in the backyard that provides several kilos of nuts every autumn with minimal care. For any of you interested in how I process them, I did a post here a couple of years ago. On Friday, I got a parcel in the post from a woman I met through Facebook, who lives in northern Tasmania. 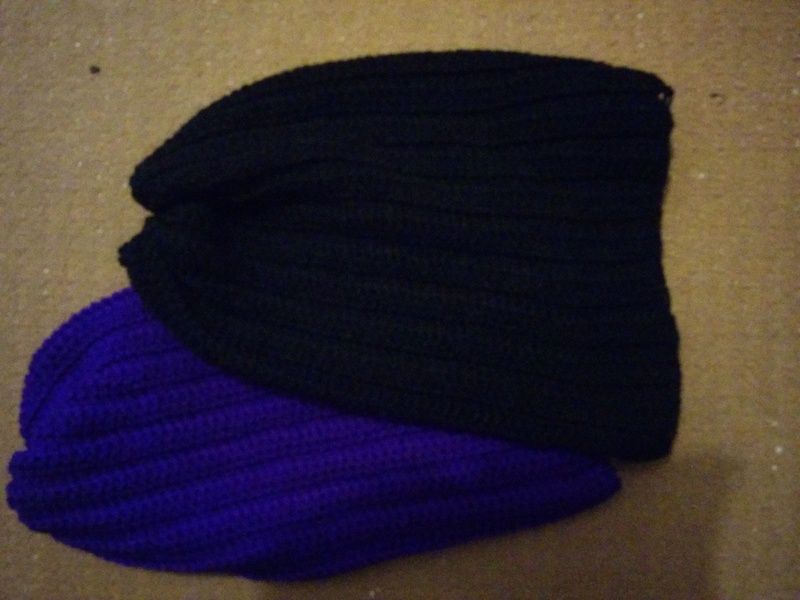 In it was a self addressed post bag for some chilli seeds – and two beautiful, handmade beanies. The photo doesn’t really do them justice, they are really a very dark black and a luscious purple – my favourite colour 🙂 Fran is also a blogger and you can find her here. I finished packaging her seeds during the week, I’ve been drying them slowly on paper. Like most repetitive tasks, I think there’s something incredible meditative about sorting seeds. For me it’s akin to weeding or planting but a little more demanding, particularly when you’re trying to keep track of numbers and sort out obvious broken or dud seeds – much easier with peas and beans! Nevertheless, it’s one of those jobs that I really enjoy doing on a cold night with some good music or a favourite movie on. One thing I should’ve done though is wear gloves. Despite using broad head tweezers, I still got enough capanoids on my fingers to sting! 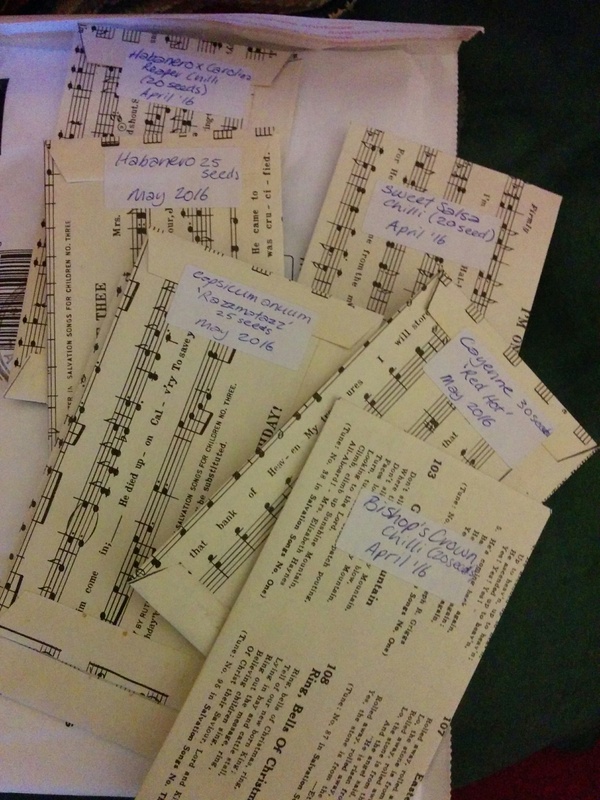 Once sorted, I put the seeds into paper packets I make from old (preferably heavy weight) paper. The recent batch for all my seeds this autumn came from some old (and quite dreadful) music books I found in the local tip shop. Although I revere books, I’ve recycled these so that no innocent child is ever forced to play those songs again – they are truly dreadful! The rain and wind came back with a vengeance today, so I took the opportunity to catch up with my current studies at Griffith University. I’m doing an online degree and this unit is Television Studies. My head is still full of textual analysis and particularly David Lynch’s Twin Peaks. For something most of us take for granted, television is really quite a complex and surprisingly demanding area of study – and I’ve thoroughly enjoyed learning some of the history and depth of the medium. This week I have to finish drafting my major essay on the enduring appeal of Doctor Who which has meant I’ve had to watch quite a lot of it (mostly David Tennant) in recent weeks. You clever girl! I love those seed packets and will treasure, and re-use them. Next time we are in Hobart I will give you advance warning and we can have a coffee somewhere and chat up a storm :). I am going to build up a seed bank and share the love around up here in the north. The sharing economy is the very best place to be in. My gran always said “generosity is it’s own reward” and taught us to be givers. She was right :). 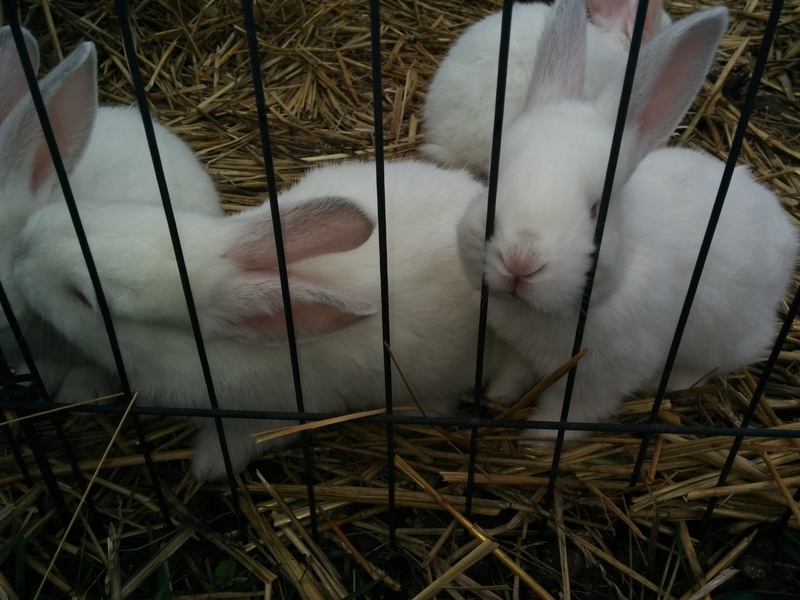 Glad those gorgeous baby rabbits are growing. We have chickens in all stages of “chick” here at the moment thanks to a late spate of hatchings that we weren’t able to hunt down the feisty broody chook before she produced a batch. Nature eh? I love this weather. 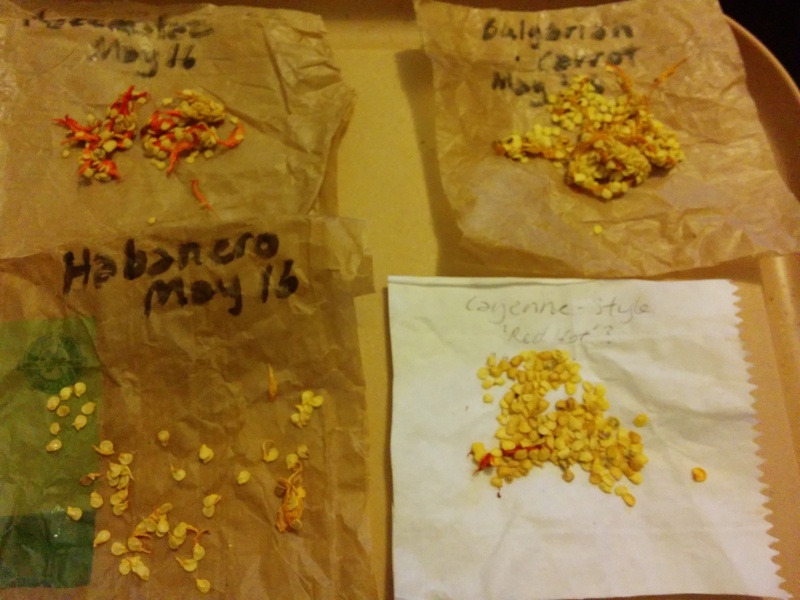 I have been reading and processing and collecting seed as well. We study digital media up here so ditto on the studies but I doubt I am having as much fun researching as you are ;).